I was really busy two years ago, and forty-two years ago. On September 2, 1975 – the day after Labor Day that year – I sat down to see if I could write a novel. By Christmas, the first iteration of Spirit Deer was a reality, and I had become a writer. Two years ago, six months after learning that Cyan had been accepted for publication, after several months of learning about blogging, after learning how to use Word Press, after pre-writing a few dozen posts — on August 29, 2015 I posted the first introduction to A Writing Life and Serial. I seems like yesterday, and also like a lifetime ago. This entry was posted in A Writing Life and tagged literature, memoir, writing on August 31, 2017 by sydlogsdon. This entry was posted in Serial and tagged fantasy fiction, literature, writing on August 31, 2017 by sydlogsdon. “They say it is magical,” Sylvia added. This entry was posted in Serial and tagged fantasy fiction, literature, writing on August 29, 2017 by sydlogsdon. Warning: this post gets nerdy. If it has dirigibles, it’s steampunk. No, that doesn’t quite work. If it doesn’t have dirigibles, it isn’t steampunk. No, that doesn’t work, either. If it is steampunk, then chances are, there’s a dirigible in it somewhere. OK, now there’s a pronouncement I feel comfortable with. Even Brisco County, Jr. had a dirigible eventually. The variety of airships (a more generic term) in steampunk is huge, especially if you look at the vast number of illustrations on line. The Aurora in Oppel’s Airborn is entirely realistic. The Predator in Butcher’s Aeronaut’s Windlass if essentially an air-floating wooden sailing ship. Some are essentially floating cities. Some run on diesels. Some run on magic, or crystal power. 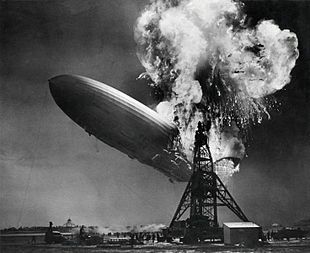 Back here on Earth, everybody knows at least one dirigible, the Hindenburg, just like everybody knows at least one steam ship, the Titanic, and for essentially the same reasons. Beyond that, real knowledge of actual airships is spotty. It might be helpful, before embracing the infinite variety of steampunk airships, to have a go at definitions for those which actually existed. First up, why dirigible instead of Zeppelin? Answer: for the same reason that we use the word automobile instead of calling all automobiles, Fords. Ferdinand von Zeppelin meant more to the development of dirigibles than Henry Ford did to the development of autos, so if you want to say Zeppelin instead of dirigible, I won’t argue with you. After all, I used to say, “Gimme a Coke,” when I really wanted a Pepsi. However, in the world of my upcoming steampunk novel, you wouldn’t dare say Zeppelin. It would be unpatriotic. A Brit with more ambition than morals stole Zeppelin’s plans, sabotaged his work, and built a British fleet of airships before the German war, while Zeppelin’s war efforts came to nothing. The result was a sweeping British victory, an overwhelmingly powerful Britain, and a very interesting world to write about. But no one calls dirigibles Zeppelins. In our (real) world, airships are often divided into three classes, blimps, semi-rigids, and dirigibles. Blimps are bags of lifting gas which hold their shape entirely due to internal pressure. Pull the plug, and they collapse. Semi-rigids have a keel structure which helps to keep them from distorting due to localized weights, such as engines, but they still don’t have a solid skin. Dirigibles have a skeleton and a skin, and individual gas bags for the lifting gas. Dirigibles are sometimes called rigids; that is the most accurate term, but it is rarely used. You will find this three part division in dozens of books on airships, and it fits pretty well. But the word dirigible was used far earlier, and at that time it meant “capable of self-movement and control”. There were dirigible torpedoes in the water, long before Zeppelin put dirigible airships into the air. Which drags us back to another recycling of an old word — torpedo. During the American Civil War there were two types of torpedoes, stationary and spar. A stationary torpedo was a mine. When Admiral Farragut sailed into Mobile Bay, shouting, “Damn the torpedoes, full speed ahead,” that would translate into modern English as, “Damn the mines, full speed ahead.” A spar torpedo, on the other hand, was an explosive device attached to a long wooden pole and rammed into an enemy ship by a steam boat, often sinking both. Neither kind of torpedo had self propulsion or self steering. The original hot air balloons were (and still are) unable to steer or move on their own. The quest for dirigibilty (controlled self- movement) led to blimps, semi-rigids, and “dirigibles”. So, there is plenty of confusion even before we get to the use of airships in steampunk. Call them dirigibles, if you want. Call them Zeppelins, if you want. I don’t see how anyone has a right to complain about your choice. This entry was posted in A Writing Life and tagged aviation, fantasy fiction, science fiction, steampunk, writing on August 28, 2017 by sydlogsdon. This entry was posted in Serial and tagged fantasy fiction, literature, writing on August 28, 2017 by sydlogsdon. He turned back to Grat. “I am no warrior, but I do have some unusual talents. Before we go down and smite our enemies, to our own possible dismay, let me use them.” Grat agreed and the girl pointedly ignored him, so Blondel moved to the edge of the firelight and called softly. At first nothing came, then a hare hopped up shyly to investigate. He gave a sharp command and it disappeared. He did not want the aid of a fluff brain and besides a rabbit was likely to be stoned for food. Also, Blondel did not like to become too friendly with rabbits; he still had to eat them occasionally. An old bullsnake he also sent away, though it smacked its hard gums and cocked its head in readiness to serve. He needed more than stealth; he needed intelligence. This entry was posted in Serial and tagged fantasy fiction, literature, writing on August 24, 2017 by sydlogsdon.